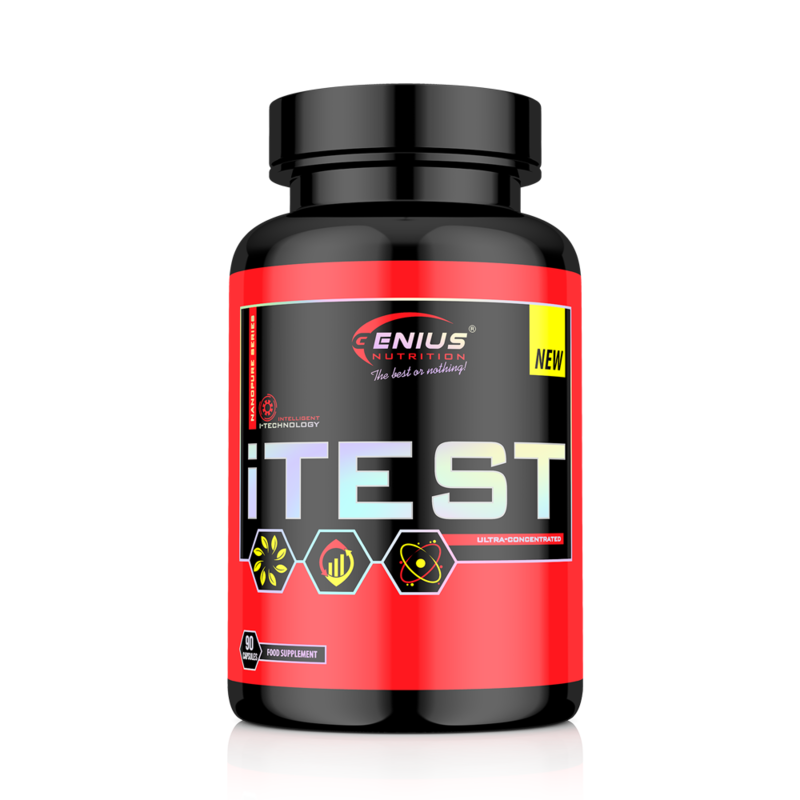 Genius Nutrition™ iTes was created using the most impressive natural ingredients for sports and health nutrition, in order to strongly boost the testosterone level, increase the libido, feed the anabolism and regulate the estrogen levels. Genius Nutrition™ iTest contains more than 10 active revolutionary ingredients, which work synergistically to provide efficient support in all the processes of stimulation of the King of hormones! High levels of testosterone are essential when you want to build muscles, burn fat and grow your strength. iTest has the ability to increase protein synthesis, energy levels, the ability to sustain a prolonged effort, the strength and density, being a trustworthy muscle stimulator. iTest contains more than 10 active revolutionary ingredients, working synergistically to support all the processes of boosting the King of hormones! High testosterone levels are crucial when you want to build muscle mass, increase your strength and burn fat. iTest pushes you to a new performance level! Are you ready for a new performance level like never before? 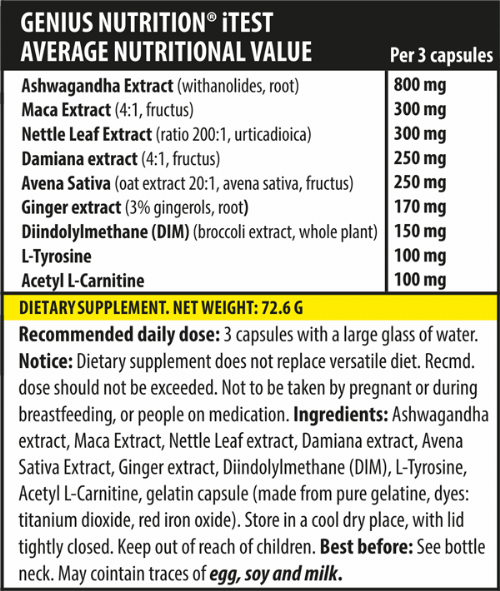 Take one serving (3 caps) with a large glass/bottle of liquid twice a day. Do not exceed recommended dosage.